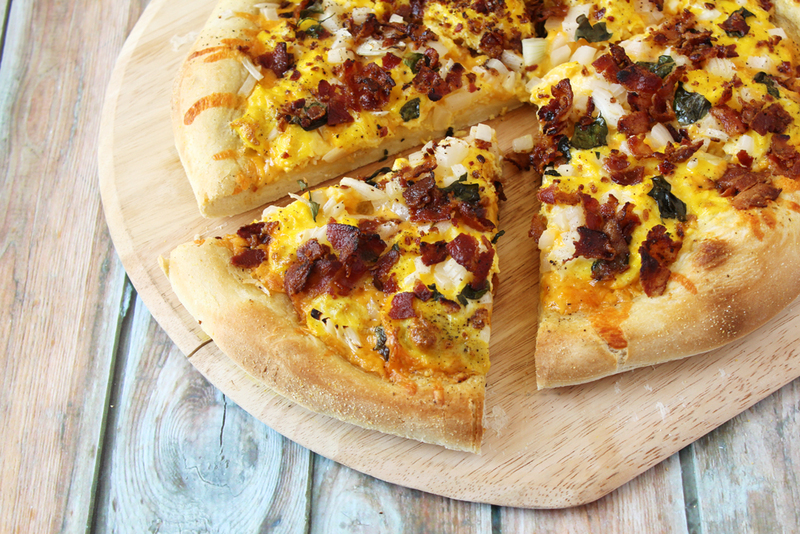 This meal puts a whole new spin on the term “breakfast pizza”. 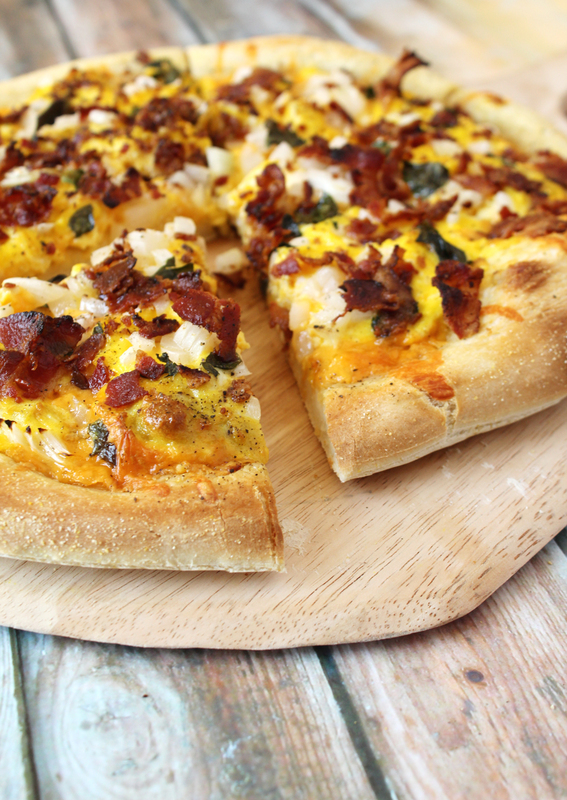 To me, breakfast pizza has always meant day old, refrigerated take out pizza. Grabbing a slice of day old cold pizza is in the past because now we have created the ultimate pizza for breakfast experience. We made this pizza on a whim and were amazed at how incredible and how extremely tasty and full of flavor it was! 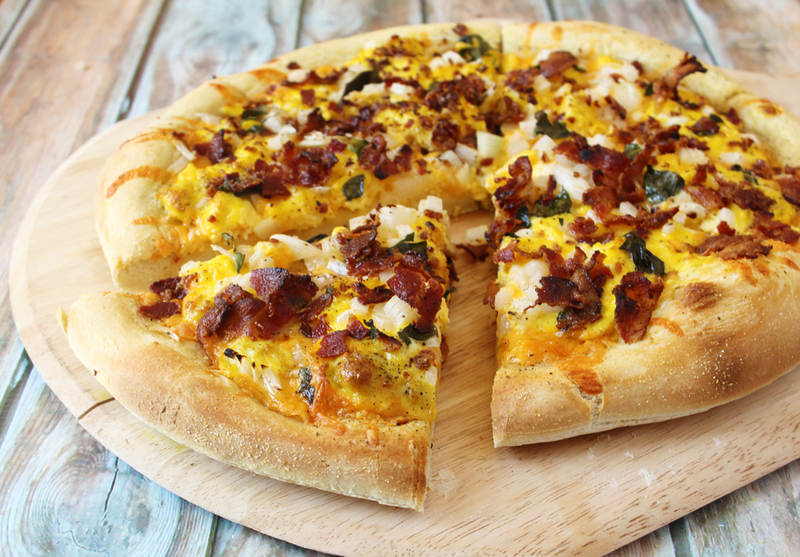 You get the crunch and salt from the bacon, soft warm pizza crust, creamy eggs, gooey cheese, and the basil makes the whole kitchen smell good! 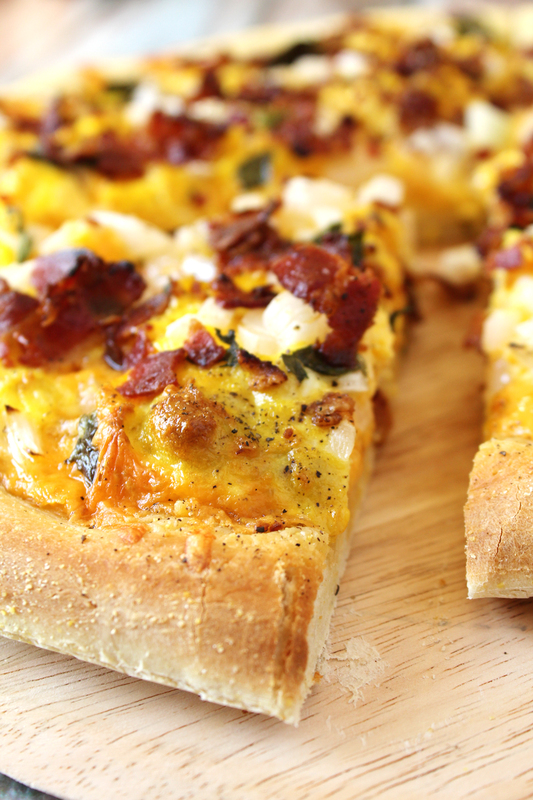 You need this pizza in your life. 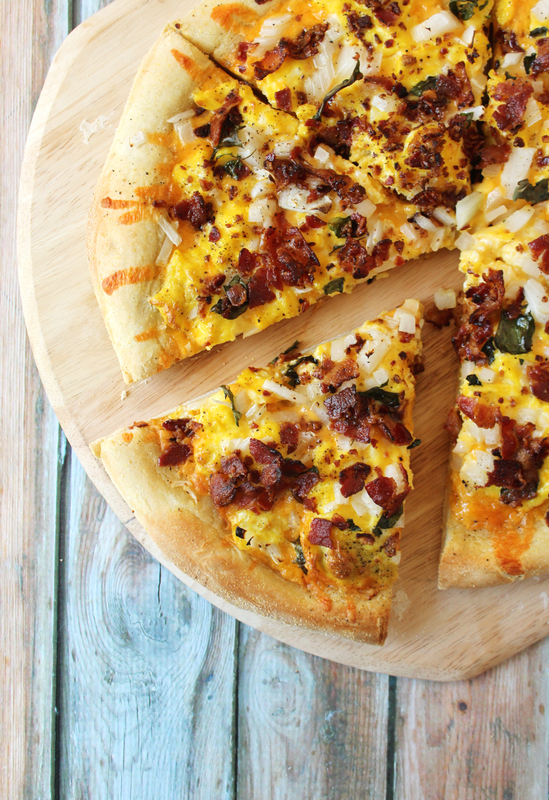 This breakfast pizza could be: breakfast, brunch, lunch, linner, dinner, or breakfast for dinner. It has an every meal potential. 3. Prepare eggs as if going to scramble them, but stop the cooking process at a point where the eggs are still wet/very softly scrambled. You do not want them cooked all the way! 4. Spread the olive oil on top of the pizza dough. 5. Sprinkle on the cheese, the eggs, bacon, onion, basil and a pinch of salt and pepper. 6. Place in the oven for 15 minutes. 7. Take out, slice, and enjoy!